What ever happened to the fabled free market of these United States of America? What ever is left of it is in free fall these days. What happened to our trumpeting of fiscal conservatism? (Neither political party now has a grip on fiscal restraint.) What happened to the promise of “smaller government,” harking back to the Great Communicator? What is happening right now to our system of governance…of government…of corporations? What does the current financial meltdown say about the state of accountability among our nation’s leaders? Help – we need to escape all this! Every Friday night my wife and I do escape – we settle in and tune to the CBS TV Network show, “Numb3rs,” a neat and lively crime drama with its finely etched and likeable characters –“Charley-the-Numbers-Guru,” his brother Don, the savvy FBI agent in Southern California and a supporting cast portraying brave and bright people. At the program’s opening a slate appears with numbers fading in and out – “4,000 bank robberies, 500 suspects, 50 abandoned get-away cars, 2 prime suspects,” and so on. This sets the viewer up for what is to come and gives you at least a hint of what the writers have in store. Alas, as I watch the TV news programs, read the dailies, scan Web sites, and read the news, commentary and research that is gathered for our Accountability Central Web platform, I have no such reference points for what is to come in the pouring out of cash from the federal treasury or the Federal Reserve. 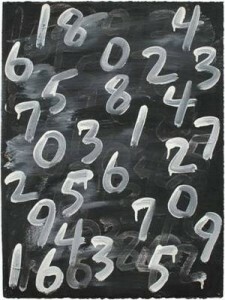 Numbers, numbers, and more numbers – become numbing to watch and to digest. Where does this end? “Information overload,” some experts call the daily onslaught of informative – content, in today’s media world. Waves of information wash over us even when we are tuning out the bad news, chattering heads on cable TV, radio news broadcasts, and more. The federal government’s fund for purchasing toxic assets from banks and other financial service firms was approved by the 110th Congress – in a mad dash to line up support “before the financial system melted down” – at $700 billion. That’s “B,” which looks like this: $700,000,000,000. Think of each billion as one thousand million US dollars. (One million is only $1,000,000.) If the 300 million people in America got a check instead, it would be $2500 (each). So far so good, sounds manageable. But wait…. $380 billion of this was committed (under President George Bush) to the TARP bailout and channeled to a variety of purposes, but mainly to buy “toxic assets” from the banks that granted mortgages. Assets purchased: Well, “0,” as the government mavens changed their minds after Congress responded to the panic and approved the $700B. .
$146 billion did immediately go out the Treasury Department’s door to financial services companies (including hundreds of major, regional and local area banks). These are the stuff of the sensational headlines. $320 billion – that is what President Barack Obama technically had left in the TARP as he began his presidency and jump-started his rescue programs. What to do with this remaining money? Stay Tuned – the news is fast in coming. $50 billion – that’s what President Obama will direct to [today’s announced] the Homeowner Stability Initiative, to rescue 4 to 5 million residential mortgages issued by the now-nationalized Freddie Mac and Fannie Mae “government-sponsored entities,” which together account for millions of home mortgages. Nothing for speculators, he said. $1.6 trillion – that is what the Federal Reserve System originally committed as “buyer of last resort” to strengthen the free-falling commercial paper market; the total market sector is valued at about $1.6 trillion – and the Fed has invested $249 billion in these efforts so far. And still the credit markets seem to be seized up – trust is gone for now. Does this mean money to channel to the credit markers? Access to credit is seriously affected, affecting all areas of the American and global economies.. “Zero Dollars” is what many US business owners have received in credit so far. $600 billion for support of the Federal Home Loan Banks – these are independent entities (12 regional banks around the country) created in the 1930s for expanding and assuring access to home ownership, and each is owned by the commercial banks and related entities but operated as quasi-public sector entities. $217 billion has been paid out so far. $600 billion – start with $50 billion, which is what the Treasury Department committed to guarantee money market accounts; the Fed has added its weight to bring the fund to a grand total of $600 billion, of which $14 billion has been disbursed. $53 billion – what the Federal Reserve has designated as a rescue package to buy up toxic securities that the bright lights at the nation’s largest insurance company – AIG – stuffed in their investment portfolios. To back up the claims which might be paid out. So far $43 billion has been paid out. Oh yes, the AIG brass has curtailed those expensive parties – for now. $4.6 trillion – committed total of federal support. $1.1 trillion – paid out so far. $2.4 trillion – government lending commitments – $657 billion – paid out so far. $1.8 trillion – government as insurer of last resort – $267 billion – paid out so far. Keep in mind: the total value of all goods and services produced in the USA, the Gross Domestic Product, in February is $14.5 trillion (says the Finance Forecast Center data). $29 billion – you remember Bear Stearns, once the high-flying investment bank / brokerage that went wild with marketing mortgage-backed securities to eager institutional and other investors? Down it went — and fast. Well, the Treasury, Federal Reserve and other Wall Street power brokers maneuvered in the wee hours so that JPMorgan Chase could buy the remnants of B-S – with $29 billion committed by the Fed to sweeten the deal. (Chase is a bank; the Fed can help out with guarantees.) A few other numbers for you: The share price of B-S went from $171 per share to $60 and then to $10 or less at then end…in literally the blink of your eye. Hundreds of employees lost their retirement, 401-k, savings, etc. There was $18 billion in cash reserves that disappeared in a blink. Thanks, bosses – you really knew what risk management wasn’t! $11 billion – current deficit of the Pension Benefit Guaranty Corporation (PBGC) for this year, at least right now. This is the government agency that picks up the fallen pension funds of corporations that go bust or can’t pay the pensions of retirees. PBGC says it has $63 billion in money available (owed out to millions of pensioners of defunct corporate employer plans); the agency projects its obligations are $74 billion (in future years, for the plans in house today). 29,000 – the number of corporate plans the PBGC has had to take over since it was created in 1974 – during the serious economic downturn of 1973-1975 – which was nothing like what is being experienced today. $40+ billion – the current estimate of the State of California’s deficit for the current fiscal year. This is the world’s 10th largest economy – when California is in trouble, what can we expect of other states’ finances? Think of 20,000 – the number of Golden State (state) workers expected to be laid off now. When California is in such serious trouble, what about the other states? The shortfalls in revenue for the states are estimated to be $250 billion to $300 billion over the next 3 years (according to the National Governors Association). New York State says it will be at least $15 billion short this year; part of the cause is the evaporation of all those big bonuses in Wall Street. What the Money Gods giveth they can taketh away – at least while they are being bailed out by the American People. $3 billion – at least, short-term, in lost wages, expected as General Motors and Chrysler ask the federal government to continue helping them survive. (50,000 jobs will be cut by the Detroit automakers.) GM got $17 billion so far and both companies now are asking for $21 billion more from the government. GM will need at least $30 billion more from the Feds by 2011. At least. $18 billion – that was the payout to employees of Wall Street firms in bonuses at year-end. Sadly this was just under half of the prior year’s record payout. For the record some bosses at companies receiving government help have slashed their own salaries and curtailed bonuses. $1.22 million – hey, this is what it takes if you are a Master of Wall Street and you want your office decorated in a style befitting your position. While he negotiated away the venerable Merrill Lynch organization after it dabbled too much in risky securities like the rest of Wall Street, John Thain hired famed decorator Michael Smith. CNBC’s Charley Gasparino reported this: $800,000 of M-L money o Smith for his talents, which included ordering curtains for $28,000; a “Roman Shade” for $11,000; a $15,000 sofa; six dining room chairs for $37,000; an at least one area rug for $86,000. Poor John Thain – embarrassed by this, he wrote a check out to pay for his gilt-edged office. And you thought you had it rough when you looked at your Bank of America and Merrill-Lynch stock prices in your IRA! Don’t worry about decorator Smith: He’s been hired to decorate the White House digs for the Obama family. So reports Gasparino! Enough! I gotta tune in to Charlie Eppes (played by David Krumholtz) and brother Don (Rob Morrow) – maybe they can help me understand the numbers. Or at least escape the information overload! Author’s note: The bewildering array of numbers presented here is, to the best of my ability to count (millions, billions, trillions – I get mixed up at times.) If you have corrections to the above numbers, please send them to me so that I can correct this post for the record. Hello, Thanks a lot for this great posting! I have to save Numbers â€“ They Do Add Up â€“ And The Federal Governmentâ€™s Treasury Is Still Putting Big Bailout | Accountability Matters. Thanks.